Gtimer system code is written in C++ and compile using MPIC++. The current system code runs in Linux. Each line represents a vertex. 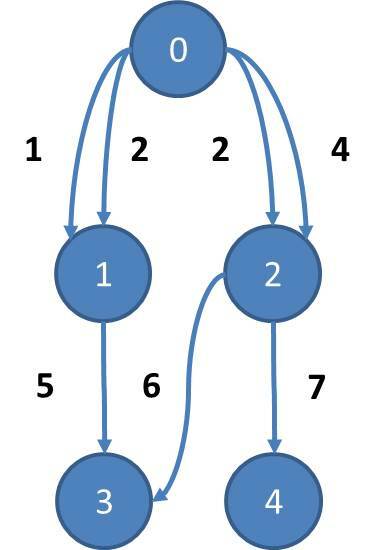 In the toy graph, the traversal time of each temporal edge is 1. Take vertex 1 as example, it has only one out-neighbor 3, and there are only one temporal edge between 1 and 3 where the time instance is 5. Thus, the line for vertex 1 is "1 \t 1 3 1 1 5".